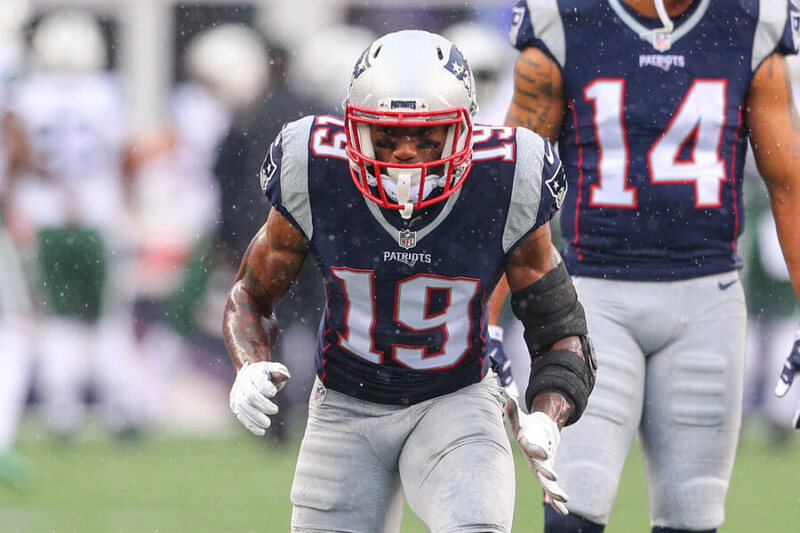 Patriots wideout Malcolm Mitchell has been on injured reserve since September 7 with a knee ailment, but he may finally be nearing a return, per ESPN's Mike Reiss. Reiss quoted "someone close to [Mitchell] and familiar with his progress," who reported that Mitchell is "scheduled to be evaluated this week and is 'getting better, for sure.'" Reiss also cited Mitchell's latest Instagram post, which the receiver captioned "Missing that feeling. I'm working. I'm coming." Missing that feeling. I’m working. I’m coming. Assuming that he's able to get back to action in the next week or two, Mitchell's return couldn't come at a better time. The Patriots are cruising atop the AFC (as usual), but Chris Hogan's recent injury has thinned out the receiving corps. Mitchell's talent and rapport with Tom Brady--he became the first rookie to ever catch a pass from the GOAT in a Super Bowl last year--might bolster that group for the stretch run and playoffs. New England is currently able to bring one more player back from IR this season. Mitchell is the most obvious candidate, especially if the results from his upcoming evaluation are positive.